March 21, 2016 March 21, 2016 / Julie Brook, Esq. 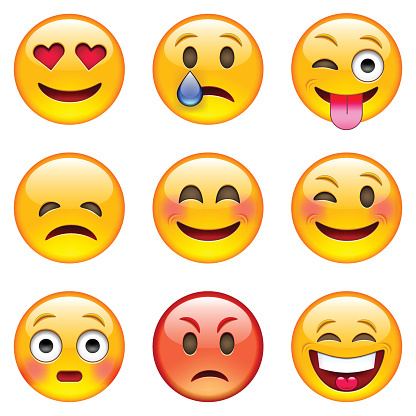 Text messages and emails—common forms of evidence in most cases—increasingly include nonverbal aspects such as emojis (or emoticons, as these symbols are sometimes called). This introduces a myriad of issues with regard to interpretation. And the courts are just starting to deal with it. In her article Exhibit A: 😉 on Slate.com, Amanda Hess discusses the “emotional flexibility” of emojis but notes that “efforts to build a unified emotional context for hundreds of emoji used by millions of people around the world have failed.” This leaves the courts to figure it out on a case-by-case basis. What about when a jury is involved? Written communications such as text messages and emails may be read aloud to a jury once they’re deemed admissible. If such communications include emojis, an attorney could object to an emoji being omitted in the reading of a communication because such symbols convey information about the writer’s intent and emphasis. Similarly, an attorney could object to a mischaracterization of an emoji in a communication that’s described to the jury. This issue came up in a federal case in New York involving the man charged with running an online black-market market called Silk Road. As described by the New York Times, the defense argued that all chats, forum posts, emails, and other Internet communications be shown to the jury and not read aloud because there were nonverbal aspects of these communications, including emojis. The judge ruled that such messages could be read aloud, but that jurors would be instructed to also read them, noting the punctuation and emojis. It’s easy to imagine the interpretation issues that can arise when dealing with emojis. For example, the age and background of the writer, as well as the relationship between the communicators, will influence the meaning. As more emojis become available and are used, they are likely to become an increasing issue in lawsuits. Attorneys need to be aware of the power of emojis to affect the meaning of a communication and be ready to argue an emoji’s interpretation to the benefit of their client. For guidance on introducing electronic and social media evidence, including nonverbal online communication, check out new chapter 54 in CEB’s Effective Introduction of Evidence in California. ← Let’s Buy a Beach House Together! Or Maybe Not.